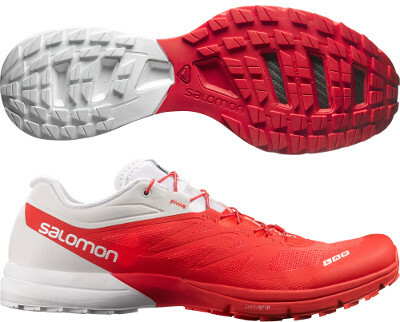 Salomon S-Lab Sense 4 Ultra are neutral trail running shoes. The premium Salomon S-Lab Sense 4 Ultra is one of the most famous trail running shoe because it is used for racing by Salomon Running elite members including great champion Kilian Jornet. Although it has been designed for racing (light, just 4 mm drop, narrow toe box) it is not for everyone. As every new edition, the S-Lab Sense 4 Ultra tries to improve what was not working fine in previous version and in this case it involves a better grip, slightly wider toe box, more protection and longer durability. French manufacturer uses its well known Quicklace™ lacing system to provide a custom fit and excess can be stored in own lace pocket to prevent snagging. Sharp objects on the trail are no longer an issue with Profeel Film protecting from them. Besides the standard S-Lab Sense 4 Ultra edition intended for general purpose (even technical ones like rocks), Salomon also offers the SoftGround (SG) edition for muddy terrains. With a thicker mesh upper ready to deal better with water and specific outsole with more separated mugs for improved traction, it is around 10% heavier.